At Complete Dental Care, we strive for complete dental excellence. As part of our mission to deliver the highest level of care, we use the latest technological advancements. With the best technology by our side, we are able to provide more comprehensive care. As a modern dental practice, the technology we use enhances our ability to diagnose and treat our patients with more precise results while adding the highest level of patient comfort. We offer a wide range of treatment options for those suffering from tooth loss. Among the most preferred option are dental implants. As an implant dentist, we provide implants to treat all degrees of tooth loss with customized treatment plans. For those who are missing one or more teeth, we offer fixed bridge implants to fill the missing space. The use of a fixed implant bridge doesn’t require the use of crowns or traditional bridges but will still effectively treat tooth loss. For those who are missing all of their teeth on the top or bottom jaw, we offer a couple of different implant options. One option are removable implant dentures. You’ll benefit from the strength and security of dental implants with a removable device. We also offer fixed implant prosthetics, which uses 4 implant posts to permanently hold your dentures in place. We believe dental care should be convenient, which is why we offer CEREC technology for same-day crowns. Now, you’re able to get dental crowns in just one visit, so there’s no need to come back for multiple appointment to have your permanent crown attached. In about an hour, you’ll have your custom crown for a beautiful new smile. To provide the highest level of care, we use 3D images for increased visuals regarding your oral health. Using our 3D Cone Beam Software, we’re able to see more than just your bones and teeth. We’re able to see other structures as well, including your nerves, sinuses and tooth roots. This allows us to provide a higher degree of precision when placing dental implants. The use of the CAD/CAM technology acts as our surgical guide to provide a more precise treatment plan. In addition to using the images to create a treatment plan, the 3D images also allow us to better diagnose a number of oral health conditions. With better insight into your oral health, we can provide an accurate diagnosis to provide quicker treatment to protect your oral health. Complete Dental Care is your dentist in Burlington MA for comprehensive dental care. We combine our extensive qualifications and expertise with the best technological advancements to revolutionize the level of care you receive. 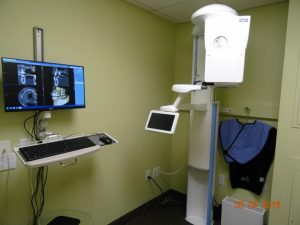 We use state-of-the-art technology in all aspects of our preventative, diagnostic and treatment services to ensure dental excellence when visiting our office. If you’re ready to benefit from the best technological advancements in dentistry for a truly comprehensive dental experience, call our office today at (781) 808-3032 to schedule an appointment.